The beauty, history and rich culture of Europe has been attracting travelers from America for decades. With so many new cities and landscapes to explore, moving from New Jersey to Europe is a great way to be immersed in new ways of life. So if you’ve decided to take the plunge and relocate abroad, count on the experts at Simonik Moving & Storage to help get you there, quickly and easily. We have been providing professional moving services since 1977 and our professionalism and top-notch services have earned us accreditation from the Better Business Bureau (BBB) in addition to ProMover status from the American Moving & Storage Association. 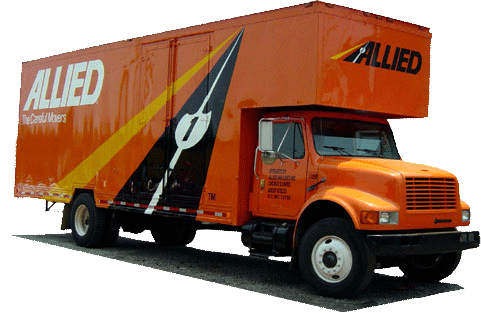 We are also an award-winning agent of Allied Van Lines, one of the largest and most established transportation companies in the industry. You can have peace-of-mind that our highly-experienced professionals will take all the stress out of your move from NJ to Europe. Moving from New Jersey to Europe is a huge undertaking. With all the packing and shipping and coordination that are required, needing flexible storage options is essential. Simonik Moving & Storage is proud to be able to provide all of our customers with short and long-term storage solutions in our secure warehouse facility. All items are packed in containers that are specially designed for international shipping and are kept safe in our care for as long as you need. Our experienced team services households throughout North Jersey, including Hunterdon, Mercer, Middlesex, Monmouth, Morris and Somerset counties. Simonik is a Registered International Mover, recipient of the “Mover of the Year” award from the New Jersey Warehousemen & Movers Association and an active member in the American Moving & Storage Association. These valuable credentials and memberships help keep us apprised of the latest special requirements associated with international moving, so your move from NJ to Europe will be smoother than you thought possible. Call our team today to learn more about our NJ to Europe moving services and how the Simonik team can take the stress out of your international move. Speak to one of our friendly, knowledgeable representatives or fill out our online quote form to get started!